A simple stroll along Central and Jackson Avenues provides visitors with instant access to Knoxville’s creative and independent cultures and a vibrant and alternative downtown experience. 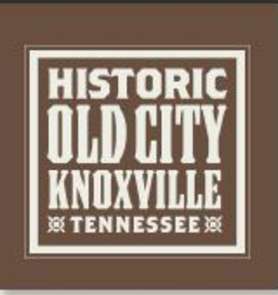 Knoxville’s Historic Old City is a unique alternative for downtown visitors looking for a variety of shops, restaurants, coffee houses, art galleries, breweries and entertainment venues as well as an area rich in history with aesthetically inspiring architectural structures that bring the past to life. During the day, Knoxville’s “Creative Corridor” is flourishing with art galleries, restaurants, shopping as well as East Tennessee’s most awarded coffee houses. You will discover some of the most authentic Irish and Scottish Pubs, as well as a Chicago style deli that serves the fanciest flat-dogs south of the windy city. As day turns to evening, the Historic Old City transforms into nightly live music and electric dance clubs playing a variety of music where locals and visitors come to light up the night. See what’s waiting for you in the Old City! There are lots of parking options available in the Old City for daytime, nights, weekends and special events. Visit parkdowntownknoxville.org for more information. See what's happening and playing in the Historic Old City.